Mosaic Artists Take Over Touchstone Retreat Center! Touchstone, a craft and retreat center in the Laurel Highlands of Western Pennsylvania, has invited a full slate of mosaic artists to teach in 2014. 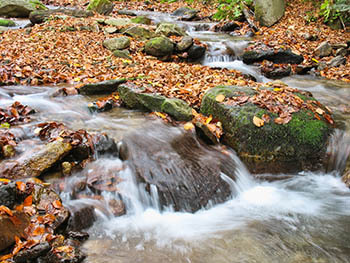 Are you ready for adventures in the creeks, hills, and valleys of Touchstone’s woodland campus? 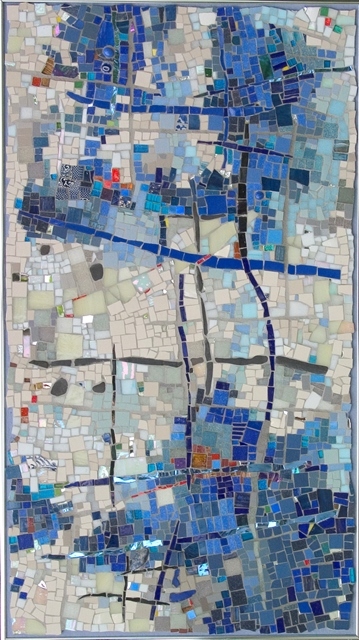 Join award-winning and internationally exhibited mosaic artist, teacher, and speaker, Rachel Sager, in her journey into the magic of sourcing local Southwestern Pennsylvania stone and transforming it into elegant tesserae, the building blocks of mosaic. This extended weekend intensive will cover building a sturdy substrate, mixing and applying high-quality thin-set mortar, cutting with hammer and hardie, the classic tool of the Italian mosaic maestros, and learning the nuances of andamento, the flow and pathways of mosaic. The field trip part of the workshop will include Rachel’s singular process of hunting and gathering for her material. This will be a challenging but also contemplative workshop, and students will learn valuable cutting skills along with mosaic philosophy. You will leave with a 12 x 12-inch mosaic, but more important, you will take home specific knowledge of an ancient medium translated into a contemporary format. Rachel’s bio and class schedule can be found here for the May Intensive, and here for the August Immersive. Learn more about Rachel’s work here. Lodging/Meal Plans here. 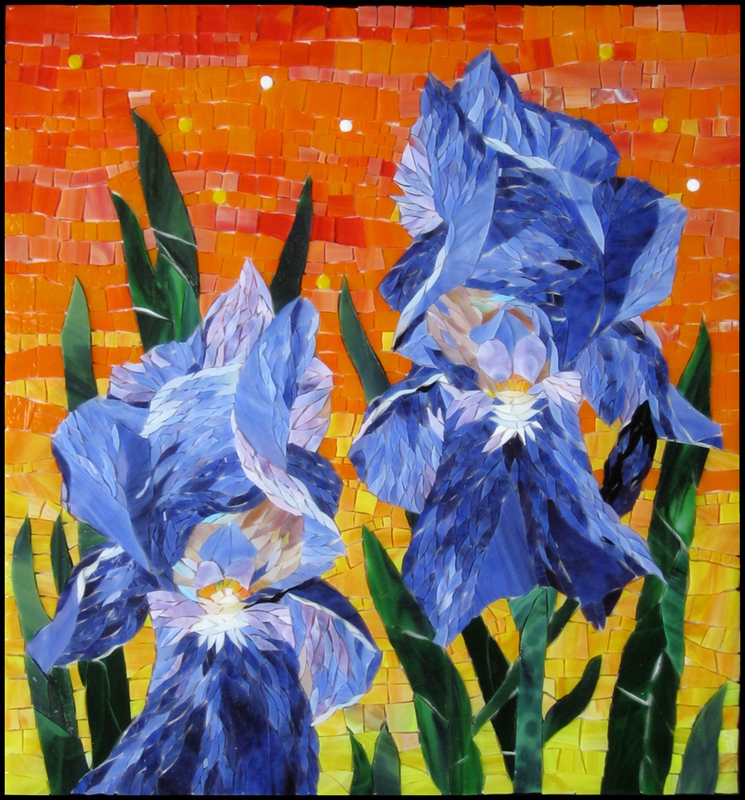 Learn to translate images of flowers into realistic and powerful mosaic statements in this extended weekend workshop. To create flower mosaic, students may work in a traditional mosaic layout or master an exciting and visually effective “brush-stroke” technique that Yulia uses for her own flower portraits. 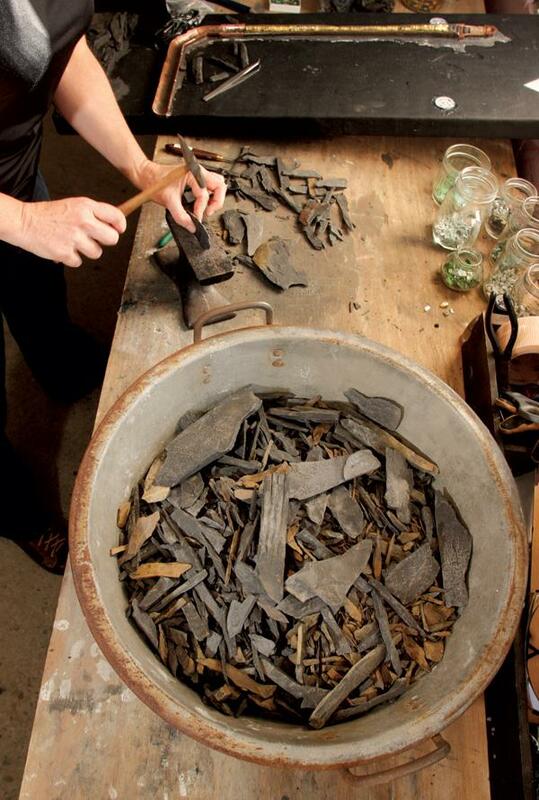 Materials and techniques are discussed in-depth with demonstrations given in groups and individually. Stained glass is used as a primary material for this project with instructions provided on how to cut, shape, and lay out the pieces. Students also explore color and composition in mosaic arts. The workshop concludes with instructions on grouting and a group discussion on the made pieces. Yulia’s bio and workshop schedule can be found here. Learn more about her work here. Lodging/Meal Plans here. This workshop covers everything you need to know about creating professional permanent mosaics to withstand moisture and freeze-thaw cycles in exterior environments. Workshop lectures will include important information about selecting appropriate materials, substrates, and fixatives that will endure weather year round. We begin Friday evening with a picture presentation and lecture covering technical considerations and design principles. We will spend a portion of the workshop experimenting with both stained glass and ceramic tiles suitable for exterior use. You will make 2 small experimental/prototype pieces, one in glass and the other in ceramic. These exercises are a valuable experience in cutting and designing. We will then embark on our larger project on Saturday. Bonnie’s bio and workshop schedule can be found here. Learn more about her work here. Lodging/Meal Plans here. This workshop is geared to interest and challenge students of all levels of mosaic experience. You will first learn to build and rig your own durable, lightweight 2D mosaic substrates, incorporating pigmented cement in an adventurous exploration of color merging, layering, and texture. Next you will learn to recognize/create/exploit ideal joins of angle, height, size, and shape of a wide variety of black materials – both natural and manmade – for various visual effects, and then experiment with setting each into colorful cement mortars. Finally, using the strata format as a compositional framework, students will incorporate all they’ve learned into the construction of a small mosaic on their handmade substrates. 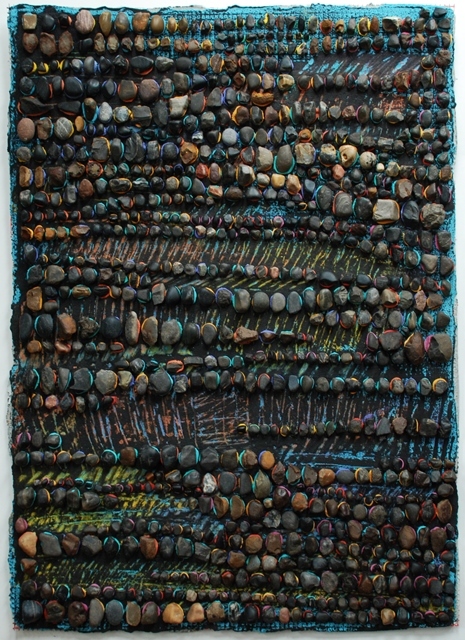 Their first collaborative artwork, I’m Pervious, built-in 2013, combined Kelley’s achromatic leanings and stratified-high-relief-materials approach with Erin’s saturated color aesthetic and birthed the idea for their ”Strata Chroma” workshop. 2014’s ”Strata Chroma” workshop marks the beginning of their collaboration as educators. Kelley and Erin’s bios as well as a schedule for the workshop can be found here. Learn more about Kelley’s work here and Erin’s work here. Lodging/Meal Plans here. 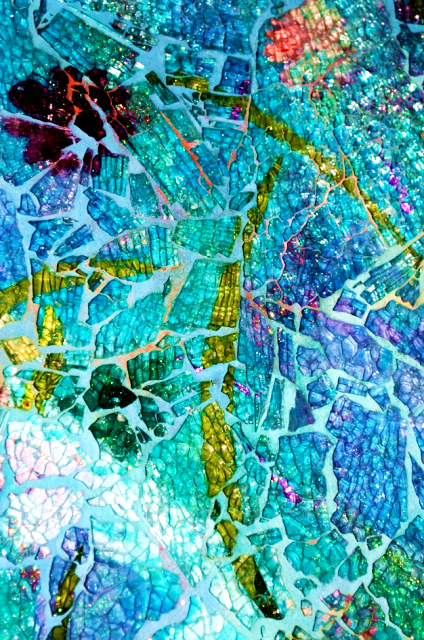 Learn how to create glittering mosaic art mixing collage with mosaic techniques using “Tempered Glass.” Tempered glass – also known as “Crash Glass” and “Safety Glass” is used to create mosaic art and architectural installations. A presentation showing examples of some of the finest works in Tempered Glass will be shown. You will learn to develop a jewel-like surface for both interior and exterior installations; and you will complete a mosaic using an overlaying technique with metallic papers, tissue, foils, glitter, photos, wordage, and more. You are encouraged to bring a variety of small paper images, photos, embellishments, and/or text to include in your mosaic. This is the perfect medium to permanently incorporate printed imagery! Carol’s bio and workshop schedule can be found here. Learn more about her work at here. Lodging/Meal Plans here. 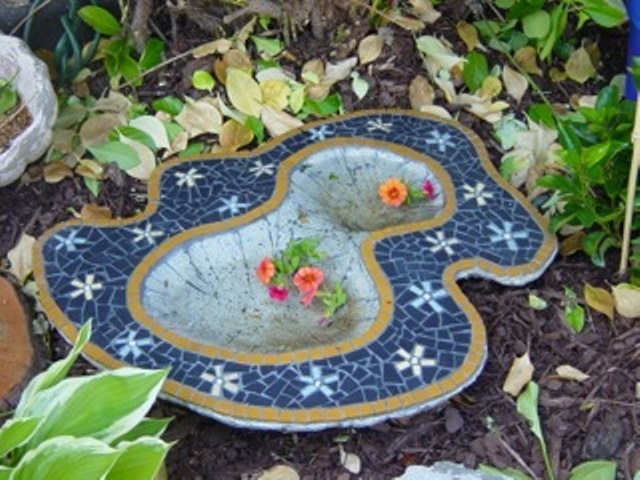 Mosaics are a medium one can readily learn at a workshop, and then continue with at home with minimal investment in tools and materials. You will learn about (1) the rich history of mosaics materials, (2) tools and substrates, (3) a variety of methods of mosaic assembly with the major focus on the indirect method, and (4) color and the mosaic palette and how tile shape creates visual texture. Lecture time will be kept to a minimum, and there will be an emphasis on one-on-one guidance, maximizing individual interests. Cynthia is eager to share her considerable knowledge and experience working in the medium of glass mosaics, from artistic considerations unique to mosaic to architectural installations. Cynthia’s bio and workshop schedule can be found here. Learn more about her work here. Lodging/Meal Plans here. Nothing soothes the soul quite like the lapping of tides against weathered docks, the tempered sunlight glinting across fields of watery grasses that thrive on the most tentative silts, the cry of majestic herons and hungry gulls, and a gentle fall breeze. 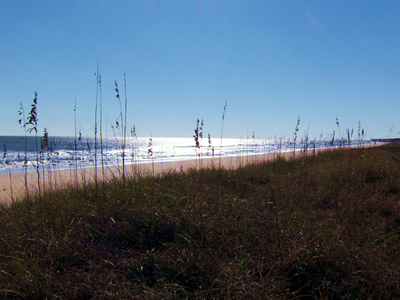 Join us at iconic Pawleys Island for an old-style retreat in old-style surroundings. 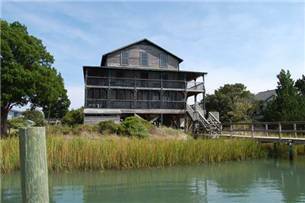 Our site will be a three-story “cottage” with double wraparound porches and ample work tables facing the marsh. The golden month of October features magnificent skies and a softer light, with average highs in the 70’s and lows around 60. Nine bedrooms, five baths, two living rooms, two kitchens, and indoor/outdoor dining areas offer plenty of space for spreading out or working as a group. Our workshop will consist of a quick-sketch technique overlaid with a modified-watercolor technique to create designs using fauvist or realistic colors depicting life on the marsh. We’ll be able to churn out a large assortment of sketches and paintings the first day, giving you ample possibilities for your mosaic. We’ll also talk about color, mood, cutting methods, and finding your own style. An assortment of boards will be provided. This retreat is designed for stained glass, however, you are welcome to bring other materials if you prefer. The retreat will be structured loosely, with a group session each day, as well as one-on-one time with the instructor and group studio sessions. You are welcome to work throughout the day or take time off for the beach or local exploration. The lovely sand beach is just across the lane, and the island is ideal for biking, as well as canoeing on the inlet. Across the bridge on the mainland, you’ll find plenty of cute shops as well as local restaurants (both island casual and casual gourmet). Meals will be on your own or as a group, either on the mainland or self-catering. We’ll have plenty of kitchen space! 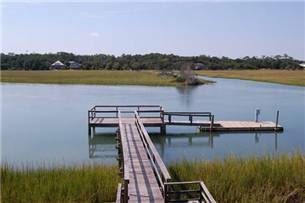 A barrier island, Pawleys is one of the oldest resorts on the East Coast, measuring just over 3 miles long and 1/4 mile wide, and a whopping population of 138. Flip flops and shorts are the norm. Cost includes room, instruction, and some materials. Cost does not include transportation to the retreat location, meals, tools or mosaic supplies. For more information or to register, contact Pam.